Patriot Prime Beef has been years in the making. The journey began with a search for the perfect ranch. The Schoenvogel family spent countless days traveling the central Texas countryside searching for just the right combination of soil, trees, water, infrastructure and setting to raise their Akaushi (Japanese Red) Wagyu cattle. The Schoenvogel's knew from the beginning that their herd was going to be stocked from the finest beef cattle in the world, the Akaushi (Japanese Red) breed of Wagyu cattle. 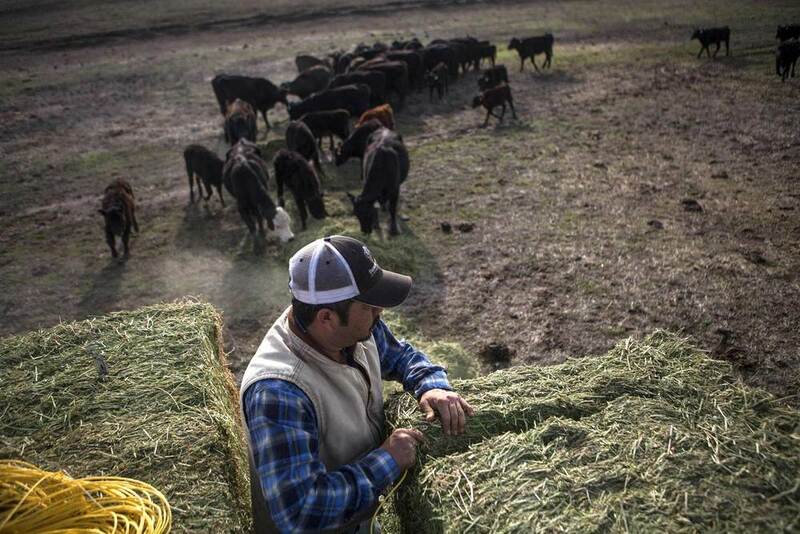 Having found the right ranch, they immediately set about preparing the soil and fields to grow a special grass that would ultimately feed their new herd. The goal was to create the perfect grazing conditions with a focus on the health, safety and well-being of their prized cattle. Ultimately the ranch was ready, the first herd arrived and the reputation of Patriot Prime Beef soon began to spread. Chefs and food lovers are embracing the Patriot Ranch dream and recognize the incomparable taste of the beef produced from this special ranch. In 1994, a starter herd of Akaushi cows and bulls were brought to the United States in a specially equipped Boeing 747. Today, Akaushi genetics are controlled by a group of Texans under the name HeartBrand Beef, Inc. to ensure quality of the breed. 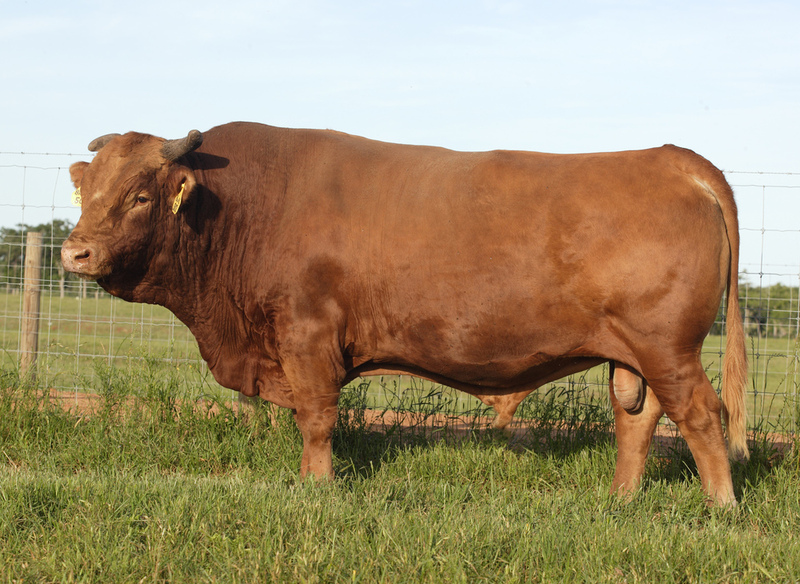 All Patriot Prime Beef Akaushi cattle are sourced from HeartBrand breeding stock and individually registered. Akaushi cattle, a Bos Taurus type of cattle, had their origin and evolution in Kumamoto, Japan on Kyushu island where cattle breeds are divided into two kinds, dairy cattle and the indigenous Wagyu cattle. By direct translation, Wagyu refers to all Japanese cattle, "wa" (Japanese) and "gyu" (cattle), respectively. Wagyu cattle have been subjected to continuous genetic improvement over the last 100 years. Today, there are four breeds, the Akaushi (Japanese Red), the Kryoshi (Japanese Black), the Japanese Polled, and the Japanese Shorthorn. The Japan Association of Akaushi registration was created in order to collect, manage and process all Akaushi cattle data. The Association has collected performance, breeding pedigrees and economic data for every animal on the entire breed. These data have been used by master geneticists and scientists in the selection of every Akaushi dam and sire over the last half-century. New sire and dam lines are only released for general production after they have been proven meritorious by extensive and accurate statistical analysis, using a sophisticated progeny-testing model. As a result of this unique data processing closed system, the Akaushi breed is extremely uniform and consistent throughout the genetic lines for all palatability traits. Natural, grass-fed Akaushi meat is produced under rigorous quality guidelines and certified product testing in a source-verified, vertically-integrated quality control system designed to provide consumers the healthiest and highest quality natural Akaushi beef. Today, the uniformity of Akaushi is superior to all Western beef cattle breeds. Patriot Prime Beef believes a steak can be good for you and good for the environment. Patriot Prime steaks are meltingly tender and extremely flavorful the reason is open pasture grass-feeding. Corn-fed has long been associated with heartiness, but cows aren't naturally designed to eat corn, or any other grain. Cows are ruminants, which means they're supposed to eat pasture. Corn became the United States’ primary cattle feed mainly because government subsidies made corn so inexpensive, even though it makes cattle sick. That's why corn-fed steers require so many antibiotics and other chemical supplements. Grass-fed beef is good for the environment because the cows fertilize the pasture with their manure. The health benefits are many because hormones or antibiotics aren’t needed or used on grass-fed beef (75% of all the antibiotics produced in America go to livestock). Patriot Ranch’s location in the temperate climate of Central Texas allows their cows to be in peak condition 12 months per year. The mild weather keeps the cows from drawing on their internal fat and energy reserves that colder weather demands. The Scheonvogel family has long been advocates for progressive agriculture. Along with great flavor, their primary concern is their herd’s well-being. They also believe small ranches are better for rural communities, and help avoid the huge concentration of animal manure produced by corn-fed feed lots which turns what should be a valuable byproduct into a pollutant. 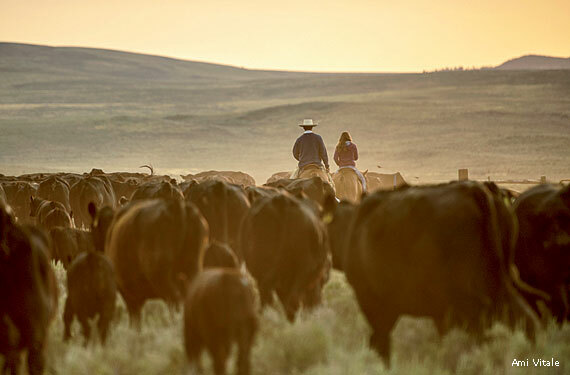 Patriot Ranch’s organic, hormone and antibiotic-free beef is of a distinctly higher quality. Progressive restaurants and innovative chefs gravitate to Patriot Prime Beef. Future plans call for a mail-order steak operation so that people the world over can experience the nutty complexity that consistently ranks Patriot Prime Beef among the best you will ever taste. Is Patriot Prime Beef good for you? Patriot Ranch only produces super-premium beef from Akaushi cattle, a breed similar to Kobe. The steers are genetically predisposed to intense marbling. This provides magnificent juiciness and tenderness, a buttery flavor, and, according to HeartBrand (the geneticists behind American Akaushi), cardiovascular benefits. Akaushi beef has a tremendous concentration of the more beneficial monounsaturated fat. Studies cited by Heartbrand claim steaks will lower bad cholesterol and raise good cholesterol. Similar claims have been made for Spanish Ibérico ham, which also has an extremely high degree of intramuscular fat. The Japanese routinely eat the world's fattiest beef, yet they have a very low rate of heart disease. Organic steak is part of a national change of thinking, as evidenced by Michael Pollan's "The Omnivore's Dilemma" to Wal-Mart's decision to carry organic produce. Beef has long had a rugged cowboy image and always will have, but now that image is going to be coupled with one of young families shopping at the organic market, wanting what's best for their children.